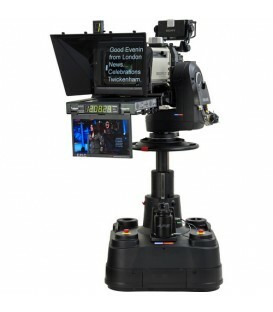 Ideal partner for flexible studio and OB operation. 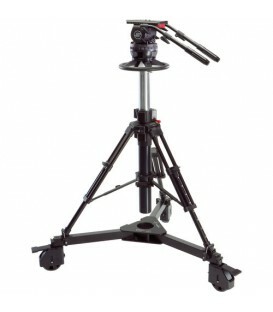 For fluid heads DV8/100, DV12-Video15, Video18SB/Plus w/3913 ,Video25Plus, Video60Plus & Video75Plus w/3914. 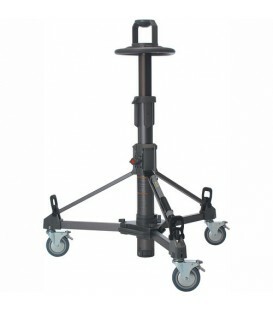 Weight 16.5kg.Payload 55 kg. Height 71.5-157cm. Lift 42cm. Clearance 99cm. Head fitting flat base. 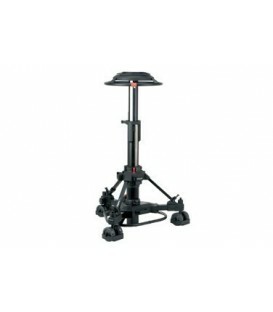 Osprey Elite Pedestal. The Elite is the most versatile of the Osprey range, designed to support the latest range of digital, portable and full facility cameras for Studio or Field Production/OB use. 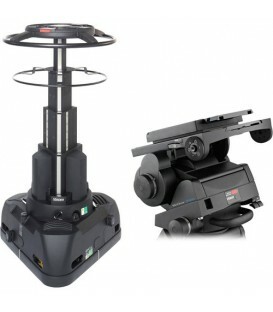 Osprey Elite Pedestal. 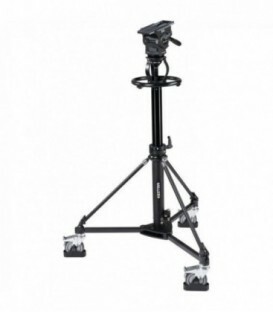 The Elite is the most versatile of the Osprey range, designed to support the latest range of digital, portable and full facility cameras for Studio or Field Production/OB use..
Quartz Two Studio Pedestal. 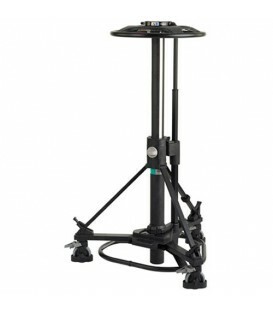 The Quartz Two is part of the new range of studio pedestals designed for the latest full-facility digital cameras. 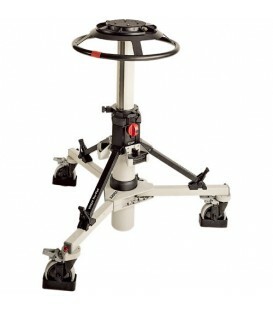 Pro-Ped Pedestal. 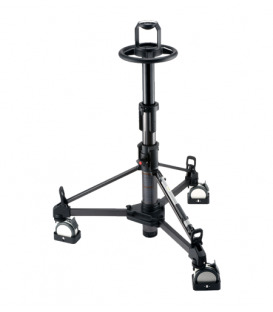 The Pro-Ped is an economical, lightweight pedestal for both studio and field production, offering a two-stage system with a height range of 81.5 cm (32 in.). 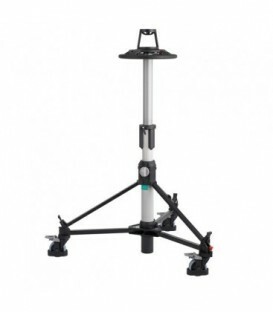 The Osprey Light is a 40 kg / 88.2 lbs capacity pedestal, with crabbing base capability and a on-shot stroke of 54 cm/ 21.2. Easily transportable. Quattro has become synonymous with studio & OB production, impressing the market w/ its unrivalled functionality & stunning ergonomics. 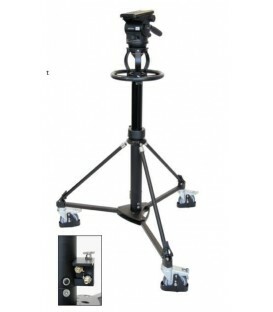 The Quattro S is a compact pedestal designed for multi-camera studio locations, perfect for restricted sets & small studios. 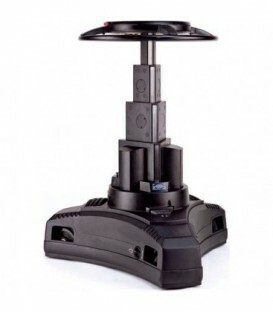 Quattro-OBL - Outside Broadcast Pedestal. 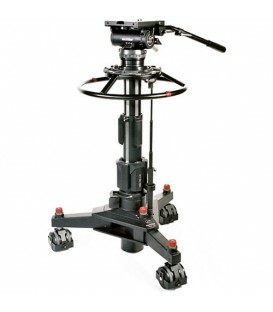 The Quattro is a unique and innovative four-stage pedestal with an extensive range of benefits for todays camera operator. 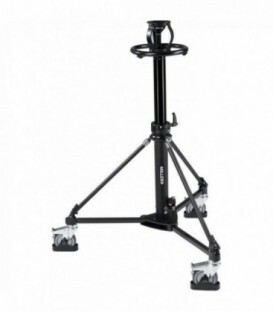 The Vinten V3852-0003 Quattro-L Pedestal is a high performance, 4-stage studio pedestal capable of handling a wide range of studio cameras. 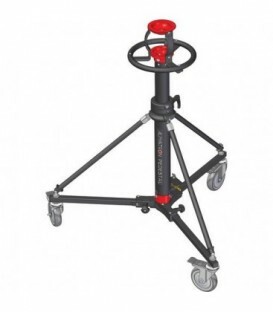 Ideal solution for all-small production studios and corporate, educational, religious and government applications where simplicity of operation, portability and reliability is key. 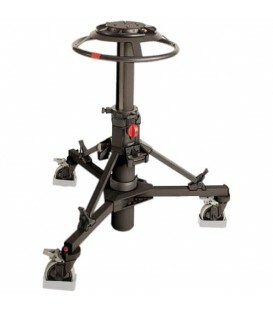 Robotic/Manual Pedestal controlling elevation and X-Y position on the studio floor. 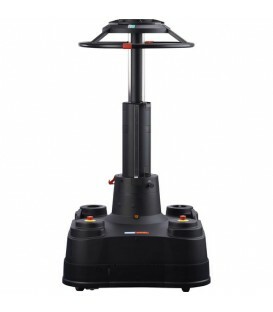 Dead reckoning positioning system in robotic mode. 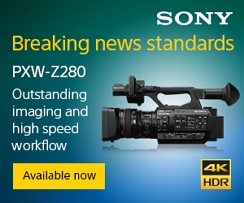 Easily converts to full manual control. 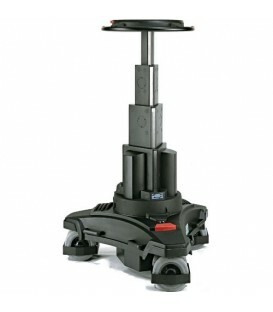 Robotic/Manual Pedestal controlling elevation and X-Y position on the studio floor. 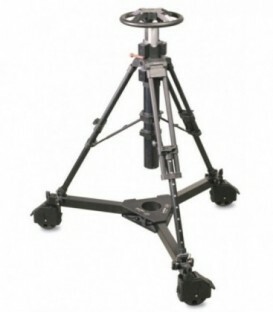 Dead reckoning positioning system in robotic mode. 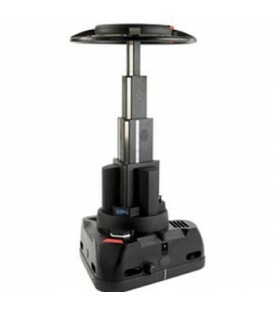 Easily converts to full manual control in X and Y (Height robotic only). 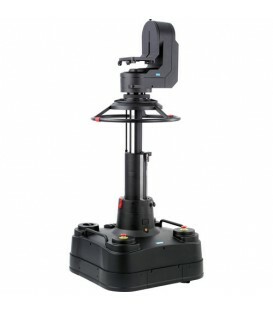 Robotic/Manual Pedestal controlling elevation and X-Y position on the studio floor. Absolute Positioning System fitted. Easily converts to full manual control. 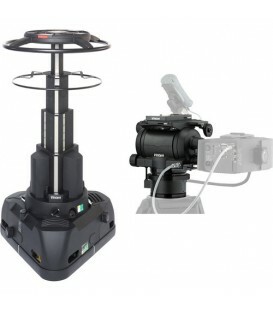 Robotic/Manual Pedestal controlling elevation and X-Y position on the studio floor. Absolute Positioning System fitted. 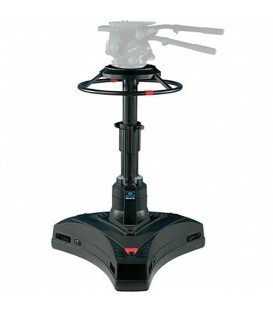 Easily converts to full manual control in X and Y (Height robotic only). 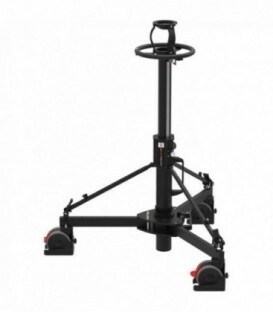 Vector 430i, VRi Box, Quattro SE and Pan-bar mounted PDA Package Vector 430i inc pan bar and EFP adapter (V4089-0001), Quattro-SE (V3851-0001), Second telescopic pan bar (3219-115), VRI Box (V4083-0001), VRi mounting kit (V4089-1004) and Pan bar mounted PDA (V4015-0003). 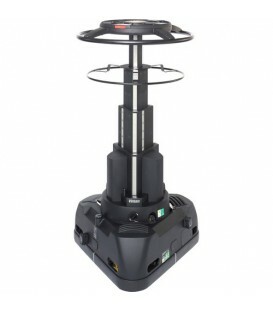 Vector 750i, VRi Box, Quattro SE and Pan-bar mounted PDA Package Vector 750i inc pan bar (V4080-0001), Quattro-SE (V3851-0001), Second telescopic pan bar (3219-82), Wedge plate (3053-3), VRI Box (V4083-0001), VRi mounting (V4080-1010) and Pan bar mounted PDA (V4015-0003).